SOUTHBRIDGE/WORCESTER – You’ll hear Shawna Shea’s name a lot in the next few days. You might have heard her name already in The Citizen Chronicle‘s coverage of The Shawna Shea Fim Festival, which is a celebration of art in her memory, That festival kicks off today in Worcester at Bull Mansion at 7 p.m. with a presentation of The Ranger, directed by filmmaker Jenn Wexler. 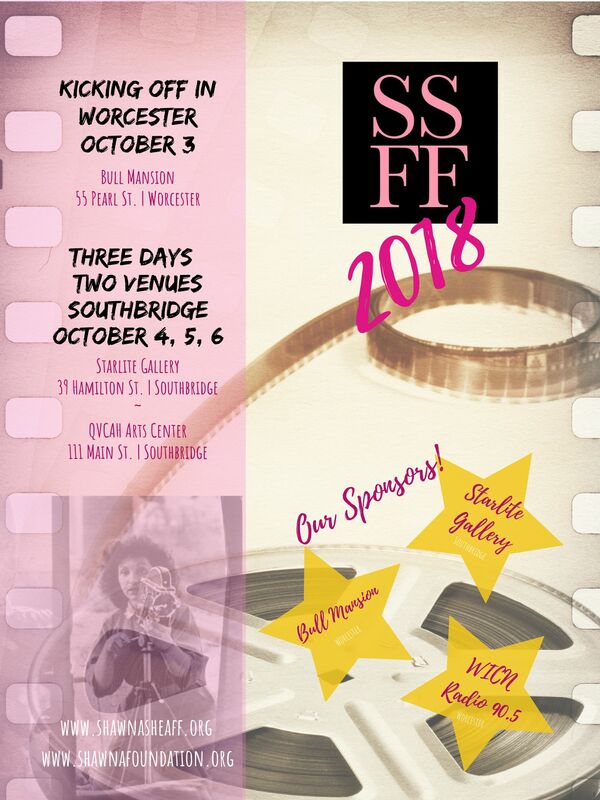 The bulk of the film festival activity lives here in Southbridge though, with three more days of films and events at Starlite Gallery (39 Hamilton Street) and The Ruth Wells Center for the Arts (111 Main Street), scheduled for Oct. 4 – Oct. 6. The full schedule for these events is available at ShawnaSheaFF.org. Most features or blocks of short films cost $12 – less than a trip to a mainstream movie theater. There will be a free event at The Ruth Wells Center for the Arts Thursday, Oct. 4 at 2 p.m. where Off the Streets for Good will be shown. Be sure to catch The Citizen Chronicle’s Patrick Bracken’s preview (here) of this film about homelessness, along with his regular dispatches from the festival. All events in the film festival are open to the public. The film festival has found a home in Southbridge for several years. It attracts international attention through the wide variety of filmmakers and audiences who participate. But you don’t need to qualify in any particular way to join in at one of the screenings; no specialized knowledge of art or film is required to take part. Actually, the specific intent of organizers of the event is that everyone, even those at “the margins” or those who feel underestimated can and should have access to art. In some ways Southbridge, a small, underestimated and sometimes maligned town is the perfect setting for this festival celebrating art on the margins: art that celebrates those who are underestimated or misunderstood, but rich in stories to tell. We spoke to Skip Shea, Shawna’s father and co-founder of the Shawna Shea Film Festival, to find out more: Who was Shawna? How did the film festival come to be, and why in Southbridge of all places? The answers reveal a story as interesting as those told through film during the event. Southbridge is not the coincidental home of an international event. The town was intentionally chosen by event organizers and they’ve chosen to return several years in a row. 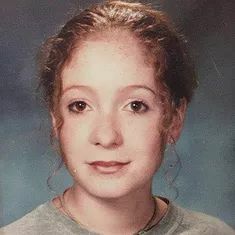 Shawna was a sophomore at Uxbridge High School in 1999 when she died in a motor vehicle accident. She and her identical twin sister, Erin, were 16 years old at the time. When I talked to Skip Shea, we discussed how difficult it is for people to hear this type of news and to know how to react, even after a loved one’s survivors have been processing it for years. Those of us who lost a loved one too early know that talking about that person and celebrating their legacy is the best salve for the grief though. Programs of The Shawna Shea Memorial Foundation, including the film festival, represent an opportunity for anyone to take part in the arts and to honor Shawna to her friends and family. Shawna was “the champion of the underdog” according to those who knew her. She was attracted to those “at the margins,” people who were a bit different or didn’t always fit in perfectly. Those who knew Shawna say was protective and appreciative of people who were different or misunderstood. And she loved the arts. She was active in theater and she wrote poetry. She was an average student who didn’t get perfect grades; her twin sister was more academically inclined. That is why The Shawna Shea Film Festival’s focus on fringe films – independent artistic films by emerging filmmakers – is such a fitting legacy and a cause to celebrate her short life. The film festival is the most well-known program of the Shawna Shea Memorial Foundation but other initiatives support emerging artists and students like Shawna as well. The foundation also sponsors a competitive fellowship given annually to first-time female filmmakers as well as a memorial scholarship for high school students. For years, the scholarship was designated for students of Uxbridge High School. Last year it was made available to students at Southbridge High School as well, as a way to honor the community that hosts the bulk of the film festival. The scholarship award is given to an “average” student, who may not receive other scholarships placing greater emphasis on academic performance. According to Shawna’s father, his too honors Shawna’s spirit by providing opportunity to students like her, who are not at the top of their class but have so much to contribute anyway. Skip Shea and his wife, Anna Chinappi were visiting friends in Southbridge several years ago when they decided to see a band play at Starlite Gallery. It was then that they met venue owner Demetri Kasperson and spoke to him about the film festival the arts initiatives of The Shawna Shea Memorial Foundation. The fit between Kasperson’s venue and the festival’s spirit quickly became apparent and Kasperson invited Shea and Chinappi to bring the film festival to Southbridge. 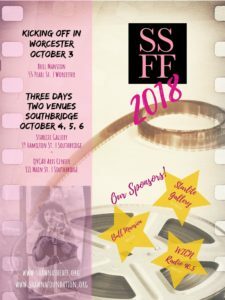 The festival is now in its third year in Southbridge and its second year with showings at The Ruth Wells Center for the Arts. Previous settings for the film festival have included the Elm Draughthouse in Milbury and Davis Square in Somerville. In Somerville, the film festival did not receive as much foot traffic or support as it does in Southbridge. The chance meeting with Kasperson represented an opportunity to bring the film festival “back home to Worcester County.” Shea and Chinappi have never regretted the decision. Shea describes the arts as the ideal opportunity for former industrial centers in New England to create a new economic identity. In his estimation, hoping that big business or industry will return to these mill towns is a losing battle. The arts in any form, however, can thrive in these settings, by creating economic opportunity and providing enriching outlets for those who feel left behind. In the case of the Shawna Shea Film Festival, the arts have attracted visitors from around the world to Southbridge and surrounding towns. These are visitors without the preconceived notions about Southbridge’s identity as those closer to home might harbor. “International filmmakers are coming to Southbridge and they love it here,” Shea remarks, noting that this year’s event includes filmmakers from Spain, Italy, the U.K. and other parts of the world. In past years, filmmakers and their supporters have taken a look around Southbridge during their time here, and they’ve provided positive feedback to the organizers about what they find. “There is something about an old New England mill town” he reflects. For more about the Shawna Shea Film Festival over the next several days, check back with our dispatches from the ground by our film critic Patrick Bracken, published here at The Citizen Chronicle. For more information about the films and when they are playing at either Starlite or The Ruth Wells Center for the Arts, you can look at the schedule and buy tickets at ShawnaSheaFF.org. Tickets are available at the door of each screening, but some of the features and blocks will see a high attendance, so organizers recommend buying tickets in advance.